A full 6 foot heavy-duty ramp with a long tongue and non-slip rubber pad. 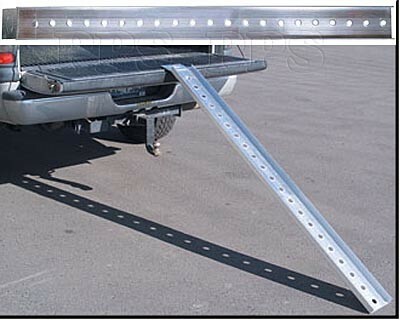 Each ramp is manufactured from extruded 6061 T-6 aluminum and the tongue is welded to the ramp. Load rated to 500 lbs. Individually boxed, no assembly required.